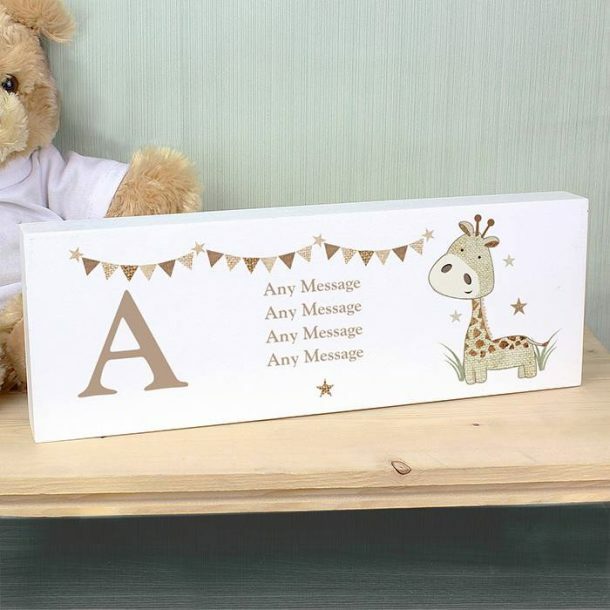 A charming Personalised Giraffe Mantel Block which once personalised will make a cute gift idea for a new born baby present, a Christening gift or to celebrate a 1st Birthday. 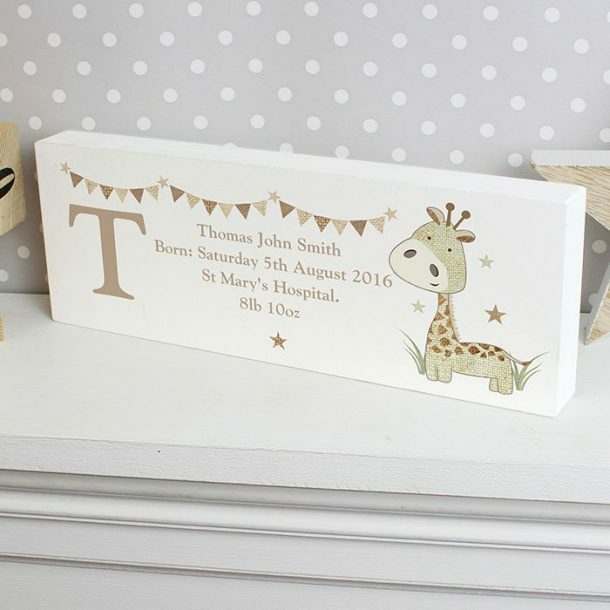 Designed and crafted in wood and in a neutral colour scheme it will suit a girl or boy, and will look super placed upon a shelf in the nursery, the blocks approx measurements are 9.5 x 27 x 2.5 cm. 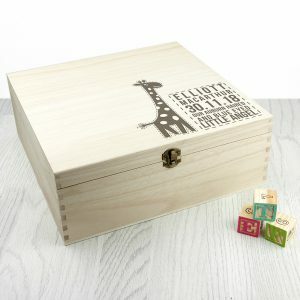 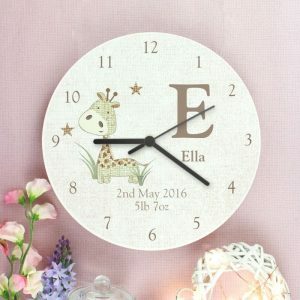 An adorable giraffe adorns the front along with a bunting & star design, along side this the child’s initial will sit in a capital letter in our stunning taupe colour of font. 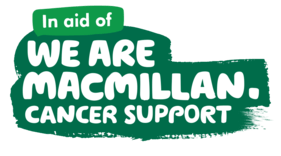 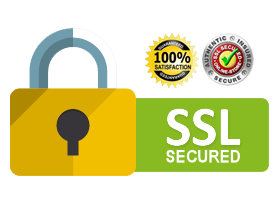 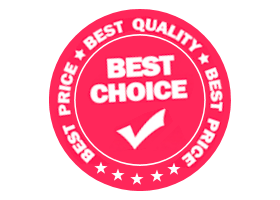 A message from you to them can also be crafted on to the block, we allow for 4 lines for this purpose using 30 characters for each line. 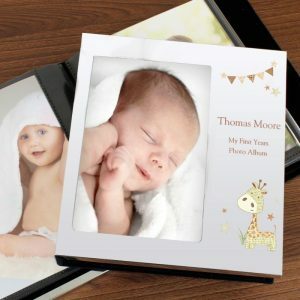 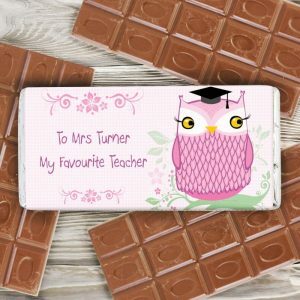 Personalised gifts make memorable keepsakes, our personalised mantel block is wonderful for a christening gift, and can be treasured for years to come.